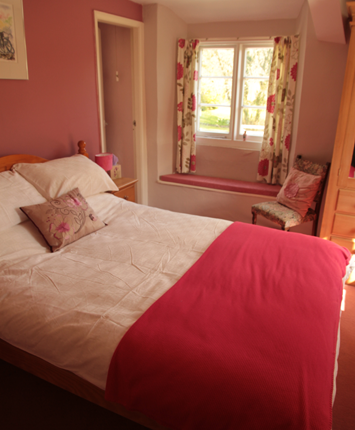 Gages Mill offers six double guest bedrooms and one twin room – the twin is on the ground floor. 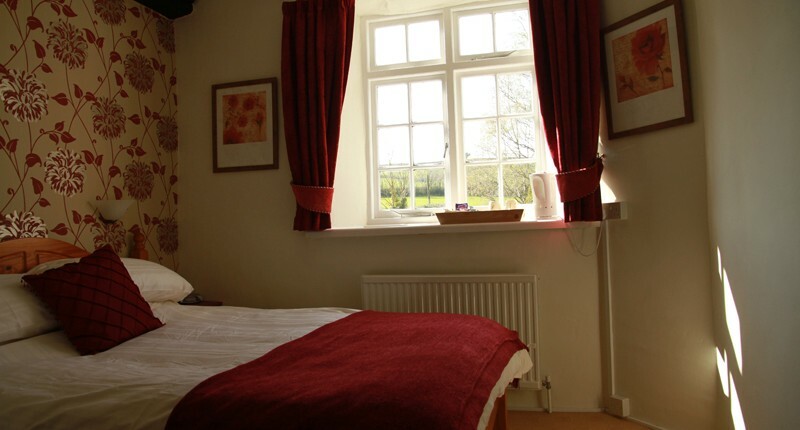 All rooms have en-suite facilities, independently controlled central heating and open countryside views. 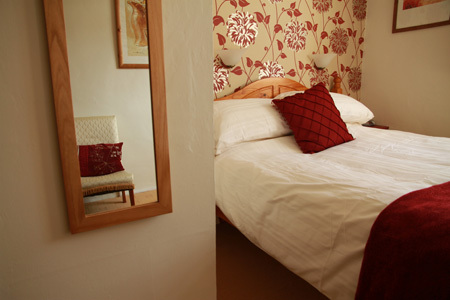 Our rooms are comfortably furnished with high quality mattresses, bed linen, toiletries and bath towels. 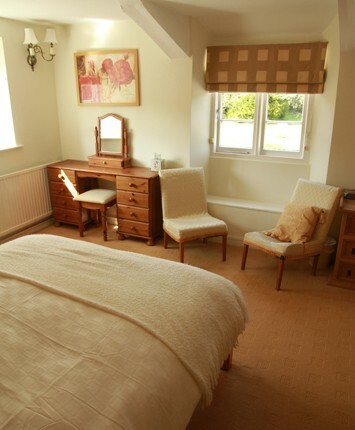 All rooms have a digital alarm clock / radio, hairdryer and tea and coffee making facilities. 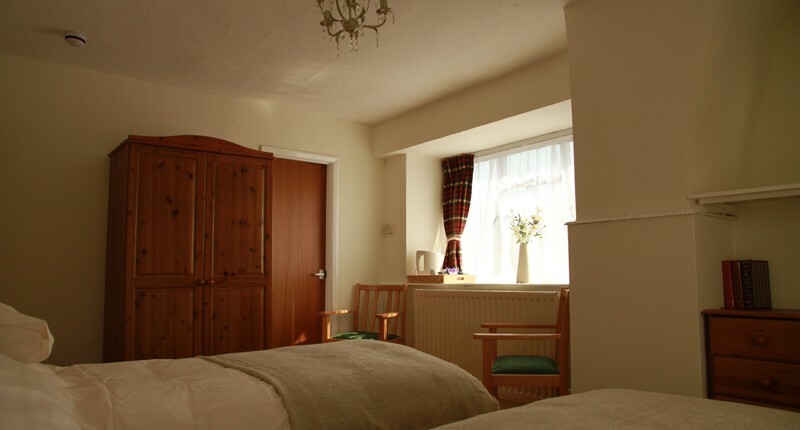 Rooms are presented with a wide selection of teas as well as coffee and hot chocolate. Bedroom doors are lockable and you will be given a set of bedroom and house keys – you are able to come and go as you wish. Please note that we do not have televisions in our bedrooms. A television is available in the guest lounge. As a point of interest (perhaps) at Gages Mill we are not on a mains water supply. Our water comes via an onsite borehole and passes through our own treatment plant. You will be drinking, showering and washing in fresh Dartmoor water. 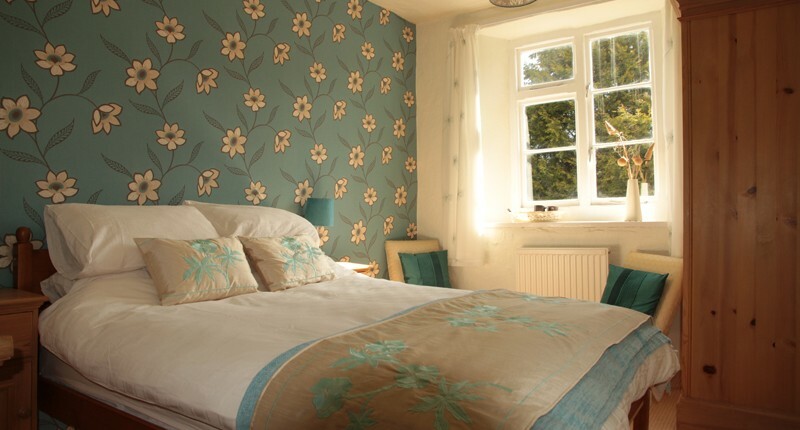 See our Rates & Availability page for information on bedroom pricing. ‘The most important meal of the day’ – We have created a breakfast that offers a good selection of high quality ingredients served in a relaxed manner. 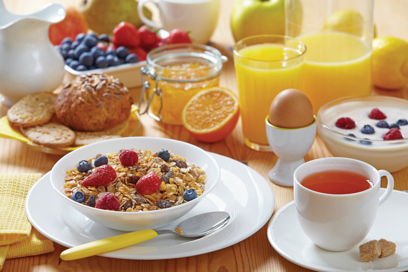 As you arrive in the breakfast room you are able to help yourself to a range of fresh cereals, fresh fruit, yoghurts, conserves and juices. There is a choice of a wide range of teas or freshly filtered coffee and a choice of brown or white toast. Our ‘centre-piece’ Full English Breakfast boasts sausages and bacon supplied by Dartmoor Butchers in Ashburton and eggs supplied by Ladilay, a local family business producing free range organic eggs.